​Another Nathan Peterman start on Sunday resulted in another nightmare result for the Buffalo Bills. Things were essentially over before the opening kickoff. When Peterman is the starting QB of your team, it's going to be a nightmare. This was once again proven in the 41-9 loss on Sunday. 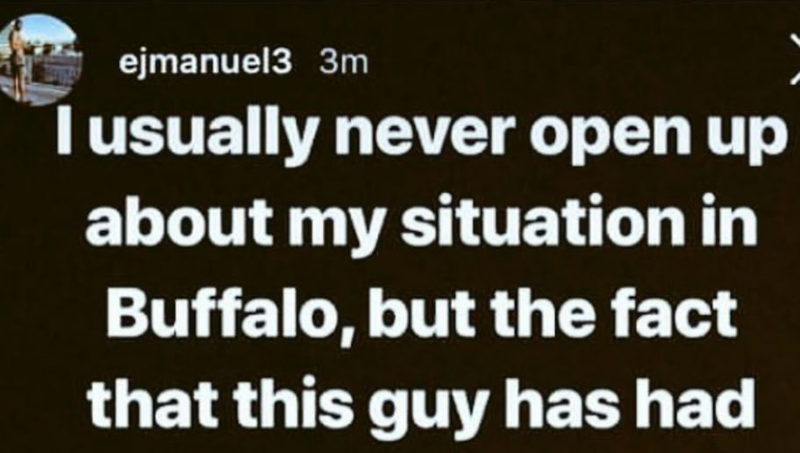 If you think Bills fans have seen enough, imagine what former QB EJ Manuel is thinking. Simply put, he's tired of seeing Peterman play like garbage. ​​Can you blame Manuel for thinking this way? Peterman finished with 189 passing yards against Chicago, but threw zero touchdowns and had three interceptions. Death, taxes, and Peterman throwing at least three INTs. Those seem to be the guarantees in life. Heck, maybe the Bills should bring back Manuel. Things surely can't get worse than this.